to take this Crystal Reiki Course. My experience with the crystal reiki training and working with Marianne was more than I expected. I’ve had a few amazing reiki and crystal reiki session with Marianne so I had an idea what I we might learn, but the energy of the crystals just exploded in class , I highly recommend for anyone drawn to crystal energy, and the least bit interested in learning more about it, to just allow yourself to DO IT! My attunement experience was the icing on the cake! I realize each attunement builds on the previous one and this one did not let me down, it was so much more powerful, wakening and elevating for me. I am so excited to share my crystal reiki treatments with the anyone interested. 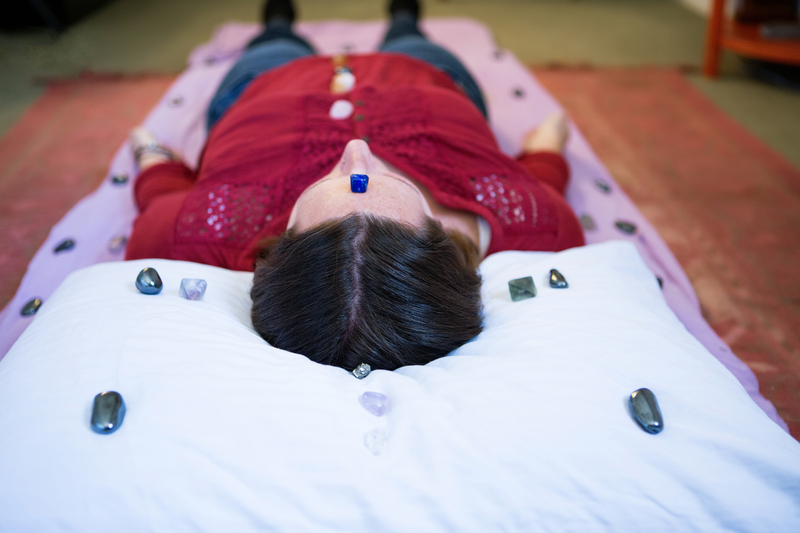 In this Crystal Reiki Training class you will use reiki and up to 46 healing crystals laid out in grid formations depending on what the client is in need of. Crystal Reiki Healing balances Chakras, Aura, Mental & Emotional bodies, transmutes anger, fear, sadness, guilt, shame and much more on a different level than traditional reiki. Why Crystal Reiki? By using the crystals it adds another dimension to the healing. Each stone becomes attuned to be little reiki master’s! When you add yourself as a practitioner plus 46 healing reiki master crystals it brings a unique healing dynamic. Mental, Emotional Cleansing and Re-patterning Layout – using crystals, reiki and affirmations to change patterns on a cellular level. Basic Chakra Layout – to balance and activate the chakras and whole body. A layout to clear the Aura and Strengthen the Etheric Field – Bringing harmony to all levels of your being while bringing in strength to the mental and emotional. Lastly, we will teach you how to make your own personal healing/manifesting grids for yourself, friends and family. The class is taught by Marianne Schneider. She studied Crystal Reiki Healing with Laurelle Shanti Gaia in Sedona Arizona at Peace Place over a 2 year period. A $175.00 non-refundable deposit is due by September 28th, 2018 to reserve your spot. Please click here to pay your deposit.